News of interest from CIO's primary news feed - The Janco News feed is an XML news feed that you can subscribe to and re-publish on your web site or blog. The only requirement that you need to meet is that the feed is included with no modifications and that the links within the feed are retained as is. Microsoft is about to release Focus Assist. With its release, a user can set times when you don't want notifications to bother them, such as during key work hours or when you plug in a second display for a presentation or when you're playing a game. With Focus Assist the user can establish periods, Windows will not send notifications. Microsoft's research found that people spend an average of 23 minutes per day regrouping and getting back on task after being distracted by a notification. A total waste of time. 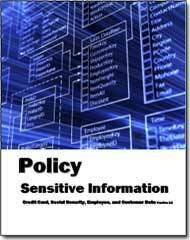 Security and compliance are key to maintaining control of sensitive and confidential information. Keeping safe and productive online requires smart decision-making and just the right preventive measures to fit the level of risk you can live with. Consent to use information must be clearly explained and there must be a positive opt-in. At the time of data collection, a privacy notice should be presented. Collected personal information must be relevant and limited to what is necessary. Do not keep personal information any longer than necessary. Have a data protection policy and data breach response plan in place that meets the requirements of the GDPR. Seek expert advice or legal counsel as needed. Technology is now playing a critical role in individuals who are promoted into C-Level positions. 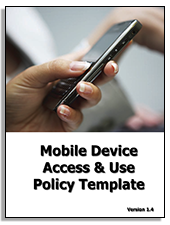 Press releases now include technology roles in capability of executives as they are promoted. A case in point is Brooks Tingle who was just named as the CEO of John Hancock Insurance. 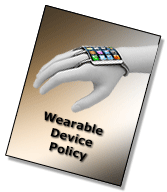 In his previous role he was the Senior VP of Marketing and Strategy for the insurance company where he championed wearable devices. 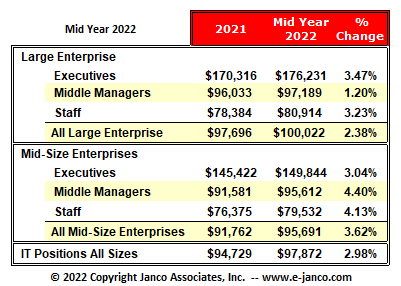 Janco 2018 IT Salary Survey shows compensation for IT executives have fared better in large companies than mid-sized companies. The greatest increases have been at the middle manager levels in mid-sized companies with an increase of 4.45% - most of which can be attributed to performance bonuses and the hiring of significantly more qualified individuals earlier. Minimize cyberattack risks and exposures - Cyberattacks from malware and ransomware are a fact of life for IT professionals. Having a general understanding about how to handle attacks isnt enough; you need to know the specifics of how, why, and when these attacks occur so you can deploy the best defense at each stage. Securing customer's personally identifiable information (PII) and sensitive personal information (SPI) is a priority for every organization. 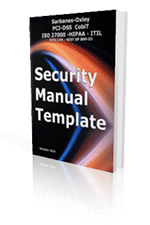 To ensure the security of customer information, too many businesses rely on lengthy manual processes or third-party resources that are only loosely integrated. 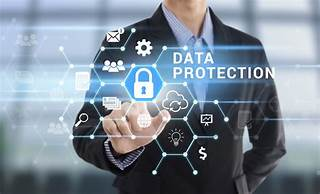 To protect sensitive information, many states are now required to implement security programs that include capabilities for incident monitoring and alerting, trend reporting, logging, security information management (SIM), and other prudent security controls and practices.